We did 2 Ganesh Tattoo on a special day which was in Ganesh Chaturthi Festival. Although he is known by many attributes, Ganesha’s elephant head makes him easy to identify. 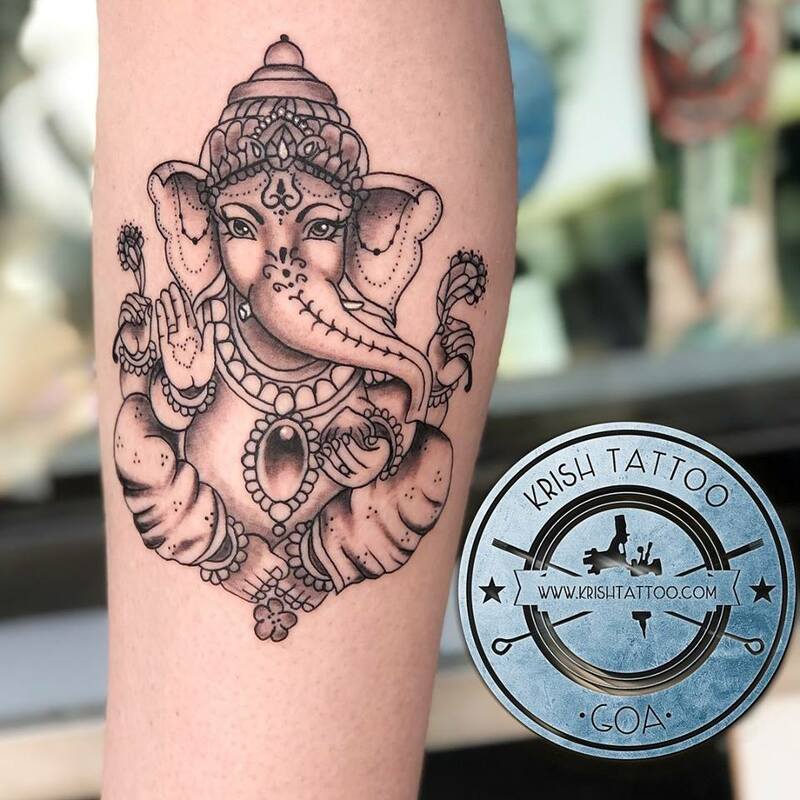 Ganesha is widely revered as the remover of obstacles, the patron of arts and sciences and the deva of intellect and wisdom. As the god of beginnings, he is honored at the start of rites and ceremonies. Ganesha is also invoked as patron of letters and learning during writing sessions. Several texts relate mythological anecdotes associated with his birth and exploits and explain his distinct iconography.